It doesn’t matter if you’re looking for a condominium facing KLCC, an apartment that is near to your kids’ school or a bungalow at a suburban area, a house is probably one of the most significant investments you will ever make. We know it’s exciting to finally have your own house. However, the actual process of buying your own house can be very stressful and not exactly hassle-free. It all begins with the house viewings. When you have decided to buy your own house, you will begin your search for your dream house in the marketplace. Then you will contact the representative agents to set up viewing appointments. There are cases where some owners didn’t thorough check during the viewing process; hence sometimes they end up having to spend extra cost on maintenance after moving in. What do we mean by doing a thorough check? There are so many aspects that you need to inspect and sometimes you might miss out some things. This is especially true if it is your first time buying a house. As we know of hassle that you might face during a house viewing, we crafted a “House Viewing Checklist” for you to use as a guideline. Bring this checklist with you when you go a house viewing appointment to avoid any “surprises”. This post is brought to you by Bumbung. Now that you have what it takes when you go for your next house viewing, start looking your dream home today. 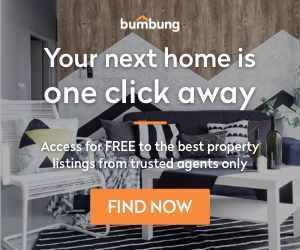 Subscribe now to get the FREE home viewing checklist from Bumbung and help you to find your dream house!